“Good morning Derek, today my splints have finally arrived and they suit perfectly. My mom and I really want to thank you very much for all your help and all your patience. Due to a severe hand crushing accident, I was required to wear a splint on two of my fingers to keep them from going into hyper-extension. 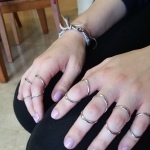 At the hospital, the rings designed by the Physiotherapy Department were very bulky and cumbersome to work around. The Head of the Department had mentioned to me that I should go to Derek at Digisplint to have ring-splints made, and I’m glad I did! 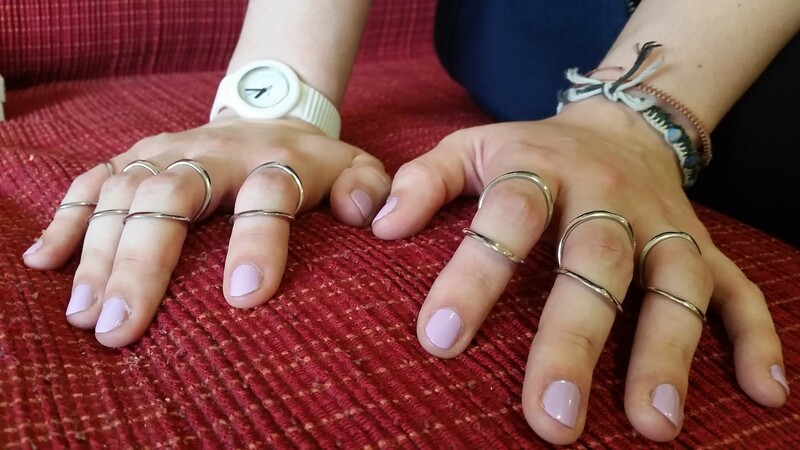 After my hand shrunk to a final size and several attempts to have the correct ring sizes, I am pleased to say that I am wearing my Digisplints 24/7 – and they do a marvelous job of stabilizing my fingers and preventing them from hyper-extending. Recently, after damaging one of my splints, I had to go back to see Derek for a repair, at which time he strengthened the splint by putting two bars on either side of the joining spot. 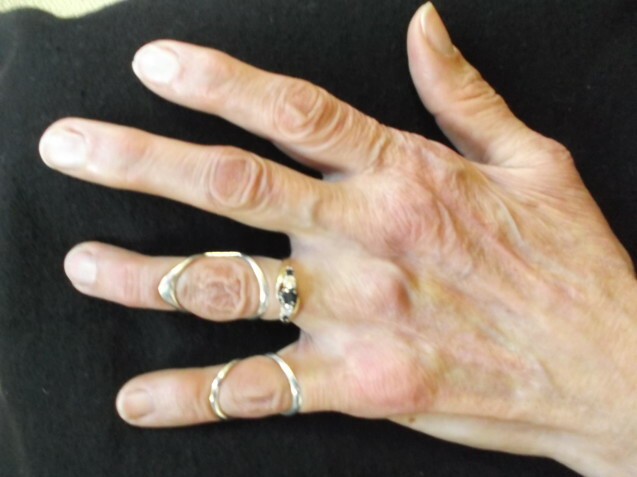 Because he stabilized my knuckle, I no longer have lateral shifting in my ring knuckle – which I didn’t even realize until the knuckle-shift was no longer there! Thank you Derek! Keep up the great work. I recommend you to anyone I know who has any type of finger issues that could be solved by your wonderful products!